My time learning with fab D/S was brilliant. I couldn´t have asked for anyone better Driving School. He was very calm and patient, and when necessary he would push me to the limit of my ability, which ended up making me learn a lot quicker! 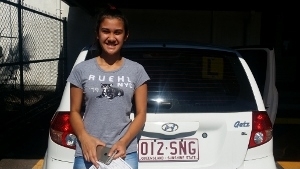 When it came to taking my practical test I was very nervous, but I knew that he would help me along the way and he knew I was ready.I would recommend him and Fab Driving School to anyone!